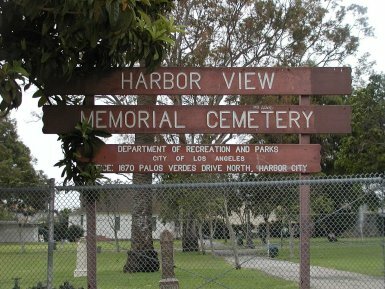 The South Bay Cities Genealogical Society (SBCGS) completed surveying and transcribing Harbor View Memorial Cemetery in January 2003. The goal of the Society was to record the information and photograph the headstones to provide a baseline of information for generations to come. 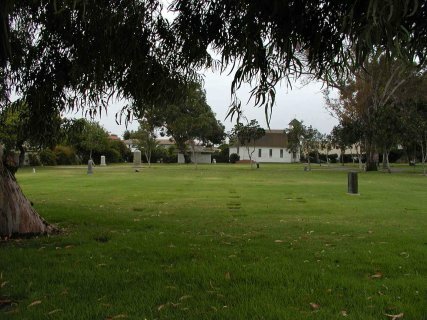 Harbor View Memorial Cemetery is currently divided into four sections with a center circle area in the middle. Each section was transcribed and photographed beginning at the southwest corner working from left to right across each row, ending with the last row (southeast corner) within the section. 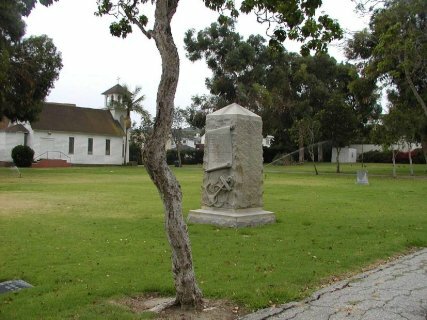 The Sepulveda Family Mausoleum is located on the cemetery grounds next to the north fence within the northwest section. At this time SBCGS has not located Sepulveda family members to gather information of those laid to rest within the mausoleum. You are the [an error occurred while processing this directive] visitor to the SBCGS Harbor View Memorial Cemetery Web Page since February 18, 2003. Last Updated: January 3, 2004 by SBCGS Web Master. Questions or comments concerning this web page please contact the SBCGS Webmaster. Copyright © 1997-2013 - South Bay Cities Genealogical Society (SBCGS). All rights reserved. You may place a link to this web page.